 Sarasota Yellow Cab of Sarasota, serving your need for taxi, van, medical transport, limo - Need a cab, taxi, cab, wheelchair van, party van call Yellow Cab of Sarasota today! Since 1920, for over 95 years now, Yellow Cab has provided efficient and cost effective transportation within Sarasota County and its surrounding areas, throughout State to State. It is our hope that our devotion to excellence and the broad experience built up during this period can be of service to you, both now and in the years ahead. Taxis Lincoln Town Cars Executive Sedans Limousines 15 Passenger Vans Service To All Airports Package & Delivery Service Long Distance Service Corporate Accounts Advance Reservations Door-To-Door Service We transport people every day to dozens of locations, from door-to-door, throughout Sarasota and its surrounding areas. We’re dedicated to transporting you comfortably to and from within all destinations in between. Airport Transportation We provide transportation to and from any of the neighboring airports. Just give us a call and reserve your ride with our dispatch office. Package Delivery Service Need a package delivered urgently? No problem, let us take care of it for you! We will deliver your package point to point from any address. We have now been doing non-emergency transport for the last 15 years. We listen to your needs as well as take suggestions so therefore we can provide individual customer service plans that are personalized to your individual/facility’s needs. Yellow Cab of Sarasota believes in the value of its customers’ input. So with this understanding, we would appreciate any comments or suggestions that you may have so we may be better able to serve you. We arrange transportation 24 hours a day, 7 days a week, including weekends and every holiday. We transport people every day to dozens of locations, from door-to-door, throughout Sarasota and its surrounding areas. We’re dedicated to transporting you comfortably to and from within all destinations in between. We provide transportation to and from any of the neighboring airports. Just give us a call and reserve your ride with our dispatch office. Need a package delivered urgently? No problem, let us take care of it for you! We will deliver your package point to point from any address. We provide executive sedan service. Don’t drink and drive! Allow us to be your designated driver. Please think! Is it really worth going to jail? Hurting someone else? Hurting yourself? It’s a lot easier to just make the right choice and CAB IT! We work around the clock, 24 hours and 7 days a week. Including all holidays and for all special occasions. Let our licensed, insured, trained, reputable taxi drivers serve as your “Designatewd Driver”. Not only are they clean and sober, they know the local roads, and just might have a few insider tips on the local scene.